By now, most of us know that sleep is important to health and wellness — but it can be especially crucial to catch enough Zzz’s when you’ve got a very active lifestyle. So, bed-in-a-box brand Bear Mattress designs its bedding with physical recovery for athletic sleepers in mind! But how well do Bear’s sheets perform? Well, Sleepopolis is here to find out! 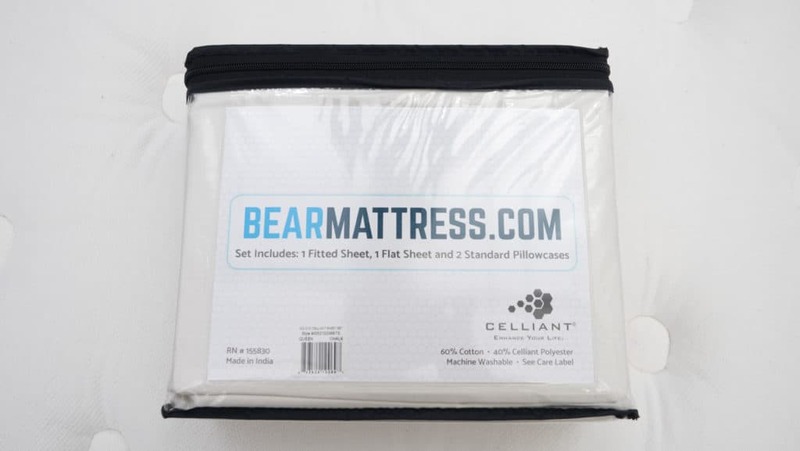 In this review, I’ll be burrowing into Bear’s Celliant Sheet Set. I’m going to show you what they’re made of, how they feel, and which sleepers might benefit from them the most! 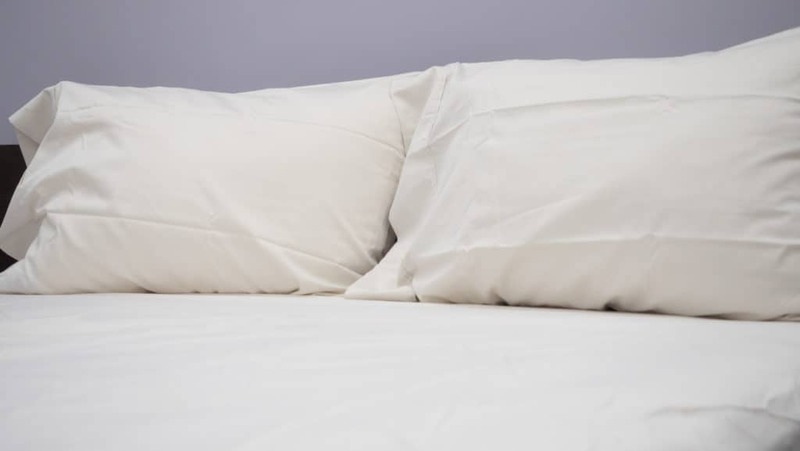 Bear’s sheets are made from a blend of cotton and Celliant-infused polyester. These sheets feature a 400 thread count and a sateen weave which is intended to offer a feel that’s soft, durable, and super smooth. WHAT ARE BEAR SHEETS MADE OF? Bear’s sheets are made from a blend of cotton and Celliant-infused polyester. Now, in the likely event that not all of you know what Celliant is, allow me to explain! Celliant technology involves the process of blending thermo-reactivate minerals, and reducing them to a fine powder (roughly one one-hundredth the width of a human hair). Essentially, Celliant (which is a brand-name synthetic fiber made from polyethylene terephthalate) takes the non-visible light emitted by body heat and reflects it back upon the body. According to the folks at Bear Mattress, this will relieve minor aches and pains, and aid in recovery. Celliant is FDA-approved and, while I am not a scientist nor an expert on Celliant, some studies have suggested that it stimulates blood flow and tissue oxygenation by converting the body’s natural energy into infrared energy. 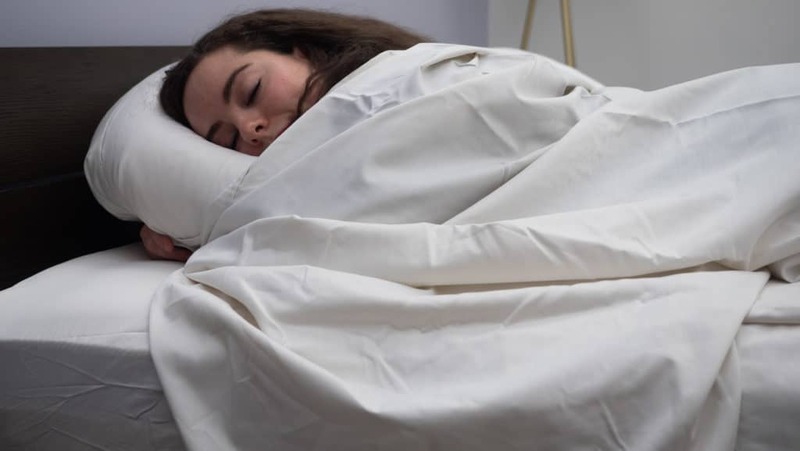 So, these sheets fall right in line with the company’s focus on physical recovery for those with active lifestyles. These sheets feature a 400 thread count and a sateen weave which is intended to offer a feel that’s soft, durable, and super smooth. In general, sateen woven sheets feel silkier and less crisp when compared to percale woven sheets (and they also tend to be less breathable). However, these particular sheets are advertised to provide some cooling breathability (so stay tuned to find out if they really do!). 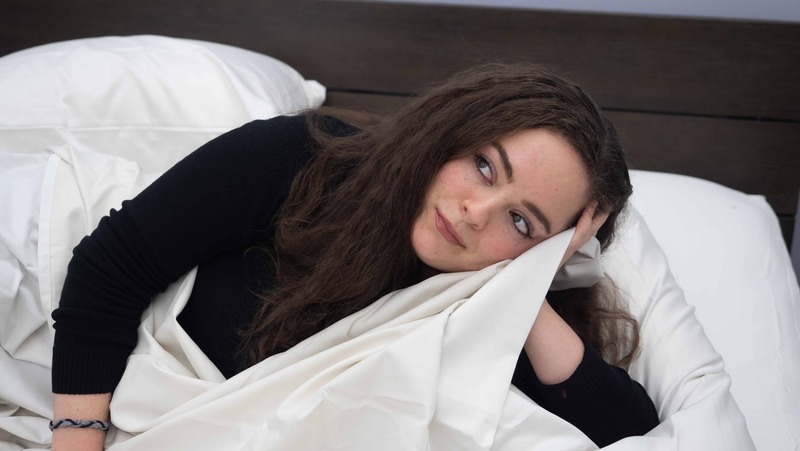 Similar to Bear’s mattresses and pillow, these sheets are designed to offer temperature regulating properties to aid in muscle recovery, and help hot sleepers (like me) comfortably slumber through the night. So, again, if you’re an active sleeper or prone to night sweats, you might be particularly compatible with these sheets. This sheet set comes in only one color called “vapor,” which is off-white. Personally, I prefer a variety of color options, but if you’re in the market for white cotton bedding, the subtle hue of ivory in these sheets might be the little-something-extra you’re looking for. This set does come in a range of sizes from Twin to California King, and the Queen set I’m testing here comes with one top sheet, two pillowcases, and a fitted sheet capable of accomodating mattresses up to 13 inches deep. It’s worth noting, though, that a Twin sheet set only comes with one pillowcase. My first impressions of these sheets are that they feel airy, breathable, and offer a lightly lustrous sheen. Of course, the only way to really know what this bedding is all about is roll around in it, so let’s check it out! HOW DO BEAR SHEETS FEEL? Bear’s sheets come out of the packaging feeling super soft and airy. Typically, sateen woven sheets are a bit thicker in weight as compared to percale, so I was surprised to find that these actually felt very light (bordering on thin). As is characteristic of a sateen weave, though, Bear sheets do feel quite soft and smooth. I would say that do feel a bit less silky than what I’m used to with sateen, but also more breathable. As I dressed the mattress with these sheets, I was definitely getting the sense that they would keep me cool. Because of the airy weight of these sheets, they lie a bit lighter on the body. By that I mean that, unlike many sateen woven sheets that drape over your shape, Bear’s sheets are a little less body conforming. So, sleepers who are counting on that classic sateen drape should remember that these sheets don’t lie as heavy on the body as some other sateen sheets I’ve tested. That being said, these sheets do offer some great breathability which will help to dissipate your body’s heat over the course of the night. So, these sheets might be particularly useful during the hot, summer months. Not to mention, the blend of Celliant and polyester is going to help wick away moisture, further serving to keep you cool and dry. Ultimately, these sheets are definitely thinner than some other sateen woven sheets I’ve tested, and slightly less silky. However, they do offer a very smooth handfeel and some great airflow that’s going to help keep sleepers cool. Related: Need a new pillow to go with these sheets? Check out our review of the Bear pillow! After reviewing the Bear pillow, I guess I was expecting these sheets to be super cool to the touch. So, while I was a little disappointed that they didn’t offer the same icy-chill as the Bear pillow, I did find them to be extra breathable. 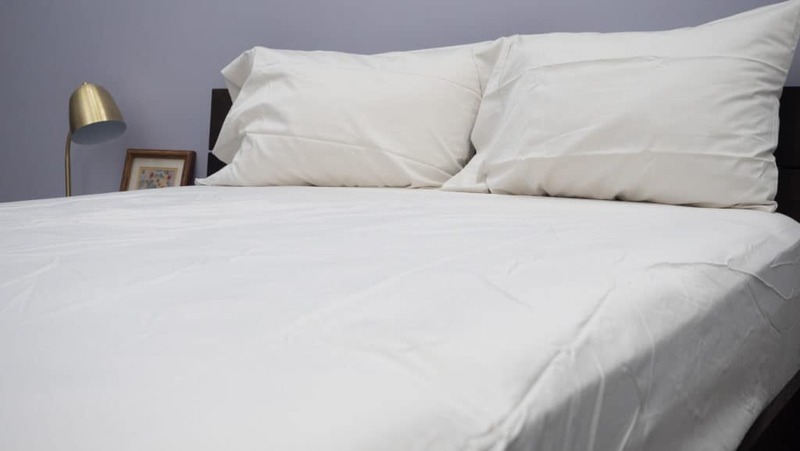 Because of their different weave patterns, sateen sheets are typically less breathable than percale woven sheets. Of course, there are exceptions to every rule… and I’d say this Bear bedding is one of them! As soon as I billowed the top sheet over my mattress, I could see and feel the air flowing through the fabric. As a hot sleeper, I got the impression that these sheets would keep me cool before I even tested them out. As I finished dressing the mattress, though, I couldn’t help but notice that these sheets felt a little thin. Again, I wasn’t expecting this as a sateen weave tends to produce a thicker sheet, and I have to say that I would prefer if it they were a bit heavier. I do love how breathable they are (and they definitely kept me cool), but as I rolled around in bed, I got the feeling that these sheets might not be very durable. Of course, sheets aren’t made to last forever, but it’s worth noting that these sheets do feel a little thin, and I’m not sure how well they would hold up against some wear and tear. Meanwhile, while these sheets do feel quite soft, they don’t feel very silky. In fact, even though they aren’t made from cotton, I consider them to have more of that cozy-cotton feel than the satin-like feel I am used to with sateen bedding. Personally, I prefer my sateen sheets to be shiny, silky, and heavier in weight. So, while these sheets are cooling and soft, they don’t really fall in line with the classic sateen personality that I prefer. Speaking of shiny… these sheets definitely have a more subtle luster as compared to most sateen bedding I’ve tested. Sateen bedding often features a lustrous sheen that, for many sleepers, is a big part of this weave style’s appeal. So, I was a little underwhelmed by the lack of luster here, but sleepers who prefer a more subtle sheen might be quite compatible with these! Overall, I think these sheets would be a great pick for the summertime. They did a great job of keeping me cool and dry, which is a big perk for a hot sleeper like me. However, I do prefer my sateen bedding to be a little more lustrous and silky. Make no mistake — these sheets feel very soft to the touch. However, they just aren’t bringing me that buttery-smooth handfeel and luminous sheen that I prefer from sateen sheets. The Verdict: When it comes to Bear sheets, I extend the most enthusiastic recommendation to hot sleepers who need help staying dry, and prefer a more subtle sheen! ARE BEAR SHEETS WORTH THE MONEY? Cool & Breathable — These sheets are light, airy, and do a great job of dissipating body heat. Sleepers who run hot might be particularly compatible with this bedding! Moisture-Wicking — The blend of Celliant and polyester serve to wick away moisture, helping to keep the sleeper nice and dry. 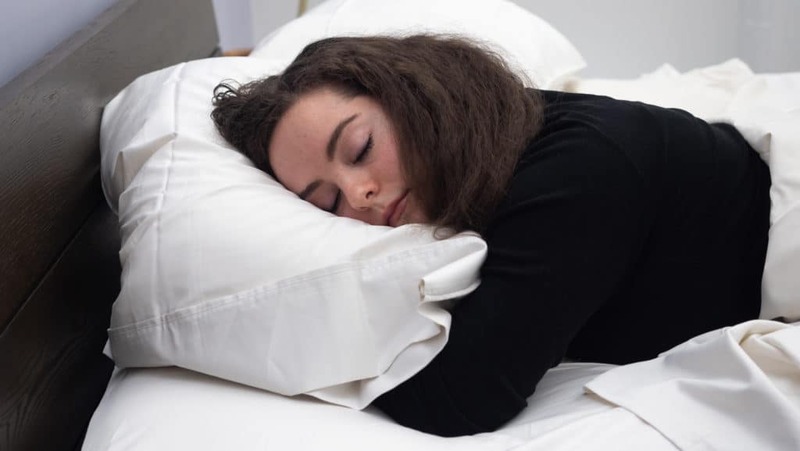 These sheets might be a good pick for you if you’re prone to night sweats! Easy Wash Care — I don’t know about you, but I prioritize easy wash care. With these sheets, all you need to do is wash on a warm cycle, tumble dry on low heat, and you’re good to go! Sleepers who prefer a totally wrinkle-free look can also steam iron these. Light & Thin — Unlike many sateen sheets, these are quite light — almost bordering on thin. If you’re looking for sateen sheets that lie heavier on the body, these might not be for you. 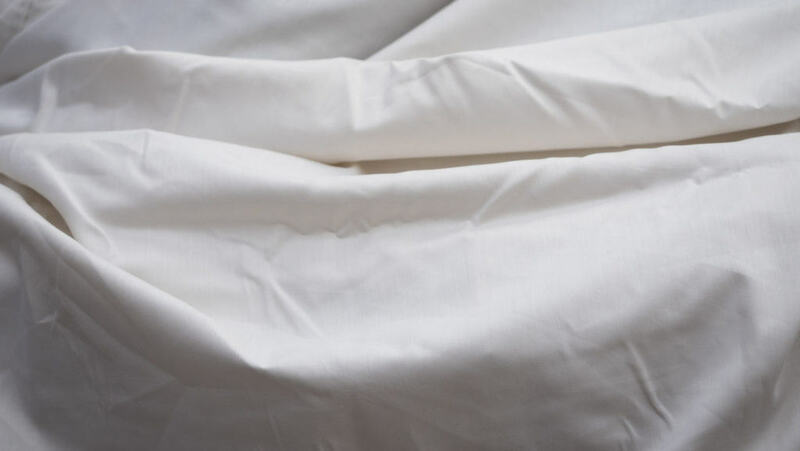 Lacking in Luster — While there is a subtle sheen to these sheets, they are definitely less lustrous than the majority of the sateen bedding I’ve tested. If you prefer more of a shine to your sheets, you might not be as compatible with these. 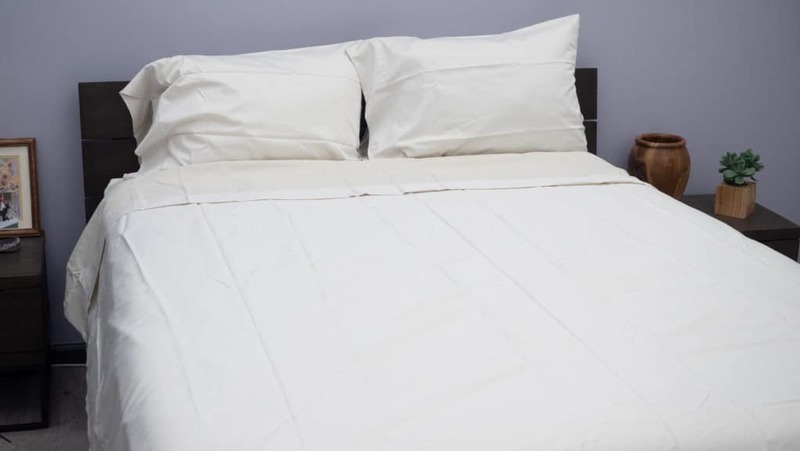 Less Silky — These sheets are cozy and soft, but do not feel very silky. If you love the silky-smooth handfeel that often comes with sateen bedding, you might want to test these out first. Return Policy — You have 100 nights from the time of delivery to return your Bear sheets, but you are responsible for the return shipping costs.